Looking to add more therapeutic herbs to your life? These medicinal plants can boost mood, improve immune function, and combat stress. Incorporating a few more herbs and spices into your life is an easy way to improve overall heath. These 7 medicinal herbs are great to pair with cannabis. You can use them to make super-charged tinctures, extract the essential oils, make teas, and make some truly therapeutic edible goodies. As a precaution, if you think a herb may be helpful to you, be sure to run it by your doctor or a herbalist beforehand. Ashwagandha (Withania somnifera) is an adaptogenic root. 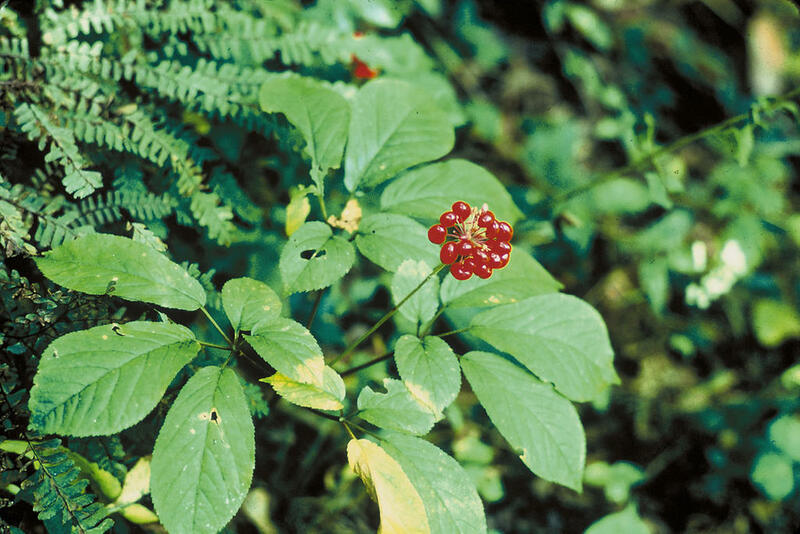 An adaptogen is a medicinal herb that helps your body react to stress. This root has been used in Indian Ayurvedic medicine and is growing in popularity in the West. Some studies have shown that Ashwagandha has anti-anxiety and antidepressant properties. The herb was pitted against anti-anxiety medication lorazepam (Ativan) and antidepressant imipramine (Tofranil) in an animal trial. The research found that Ashwagandha exhibited anti-anxiety and antidepressant effects that are comparable to both drugs. This lead the study authors to conclude that Ashwagandha has potential as a mood stabilizer. Traditionally, the herb has been used to fight fatigue, lack of energy, and difficulties with concentration. It’s common knowledge that lavender (Lavandula) is a relaxing herb. The pleasant floral scent is great in aromatherapy and massage. Yet, Lavender and cannabis have something in common. They both are abundant in the terpene linalool. A terpene is a fancy word for an aroma molecule. When combined with THC, linalool has potential as a muscle relaxant. When combined with CBD, linalool heightens the cannabinoid’s anti-convulsant properties. On its own, linalool has anti-inflammatory properties. It also reduces sensitivity to pain. If you’re making a cannabis topical, adding in a little lavender oil may amp up the relaxing and pain-fighting qualities of the herb. You can also add a little lavender into edibles or cannabis tea to get the benefits of both herbs. Rosemary (Rosmarinus officinalis), cannabis, and black pepper all contain a terpene called beta-caryophyllene (BCP). Recent research has found that this terpene interacts with cannabinoid receptors. Specifically, BCP binds to a cell receptor called the cannabinoid receptor 2 (CB2). This cell receptor helps regulate immune function and inflammation. There’s also evidence that BCP can relieve symptoms of depression and anxiety. When combined with CBD, beta-caryophyllene may even help treat addiction. So, adding plenty of rosemary and black pepper into your infused goodies is a great way to amplify the therapeutic effects of all three of these herbs. St. John’s Wart (Hypericum perforatum) is a herb with many benefits. In the Balkans, St. John’s Wart is added to olive oil and left to sit in the sun. This makes a healing oil that is excellent for burns. Capsules, extract, and teas from this herb are also used as a natural remedy for depression. In a 2009 review, St. John’s Wart was found to be as effective as prescription antidepressants, with fewer side effects. The herb was also superior over placebo. If you have mental health concerns, picking up some St. John’s Wart tea along with your cannabis may help elevate mood. As a precaution, St. John’s Wart can interact with some medications. So, check with your doctor before experimenting with this herb. But, if you’re adding it to a topical for pain relief, you’re probably good to go. Holy Basil (Ocimum sanctum) is another stress-killer. It’s also thought to be good for acne. You can make a simple extract of this herb by cooking it in oil similarly as you would when making cannabis oil. This can be applied topically as an acne treatment. If you’re more interested in the herbs anxiety and stress-busting properties, this is another plant with roots in Indian Ayurvedic medicine. Holy Basil has been found to reduce cortisol (stress hormone) levels in animal models. This herb also has potential as an anti-diabetic. This plant is also called Tulsi. This one is for all of the menopausal ladies out there. Cannabis has potential in easing mood swings and hot flashes during menopause, and so does Black Cohosh (Actaea racemosa). This herb is known to promote balance in the endocrine system, which regulates hormones. It contains a phytoestrogen, which is thought to naturally replace some of what is lost during the menopausal period. It’s most commonly used as an extract, which you can drop on your tongue or mix into a drink. Cannabis, on the other hand, enhances the endocannabinoid system, which is partly regulated by estrogen. So, taking the two together may help make your life and mood a little easier. Though, it would be smart to check with a herbalist or naturopathic doctor before experimenting with the herbs. Echinacea contains compounds that are similar to CBD in some functions. These compounds are called N-acylethanolamines (NAEs), and they interact with the enzyme which breaks down endocannabinoids in the body (the body’s natural cannabis). This improves endocannabinoid tone. Certain N-alkylamides in Echinacea also engage the CB2 receptor. These are cannabimimetic compounds. Meaning that these compounds are like cannabinoids and engage the endocannabinoid system. Echinacea is often used for the common cold. It’s thought to boost immune function, reduce inflammation, and acts as an antioxidant. The herb may have pain-relieving effects as well. There are some pretty powerful compounds in plants. They can help you relax, ease pain and inflammation, and boost your immune system to fend off infection. While it’s best to chat with a medical professional before consuming high quantities of any medicinal herb, incorporating more plants into your life is a sure-fire way to promote good health. Have you used any of these herbs? Share with us on Facebook, Twitter, or in the comments below. We’d love to hear from you!